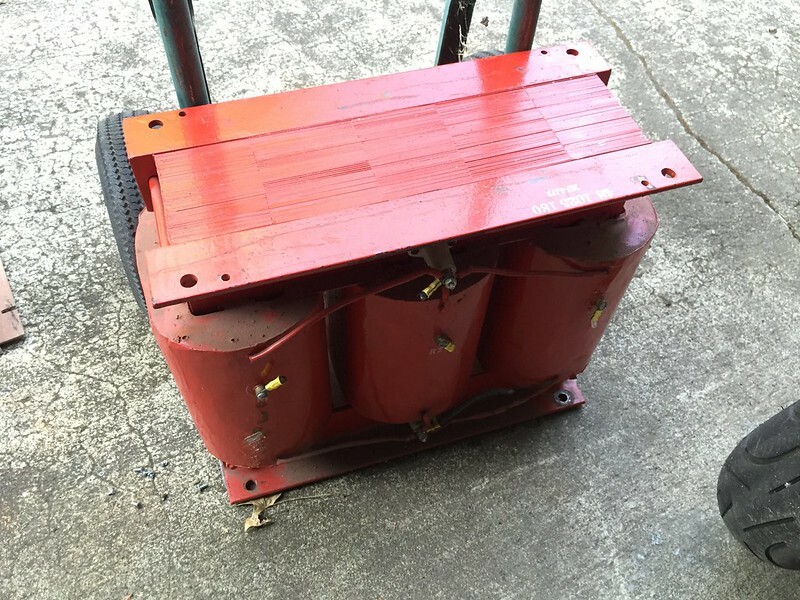 Just moved mercury-vapor rectifier story and picture to new thread with a better title. The Staticmaster brush had 50 microcuries of polonium 210 when new, in Dec. 1965. The alpha particle generator ionized air, making it much easier to remove electrostatically bound dust from plastic surfaces. Back then, dust-sensitive surfaces called "records" and "film" were found in every household. My specimen became nonradioactive, Po-210-wise, in 1982 or 1983 when the last atom from original source decayed. Staticmaster brand brushes & stationary ionizers, with their polonium sources, are still made today. The biggest one in the lineup seems to have 23.1 millicuries. Notice for Daniel Wen, and other readers in SF Bay Area. This year's penultimate Electronics Flea Market in Cupertino, CA will happen early tomorrow, August 8. For information, see link at top of this thread. I won't have a seller's space, but will be there looking for pogo pins & anything else that happens to leap out. Got no pictures from last month's tiny haul. It included two 5-amp mercury vapor rectifiers, one of which works. Here is a picture of the good 866-A from earlier in the year, featured in a thread called "10 Volt Plasmas". I love those old 886 mercury fire bottles! the A's usually look just like the one shown. (Canned cathode) I have some of the early non A's and the naked coiled or even a ribbon filament and a thin flat plate has a vabulous glow. I made a quick and dirty demo block for show and tell at one of the HEAS gatherings. When cool, the mercury is condensed out and often leaves a mirror finish on the tube of winds up as beads of blobs on the glass or in the bottom of the tube. On warming up, the beads start to evaporate and mirror up the tube envelope until the heat increases even more and then the tube goes transparent. The voltage can then be applied and that fabulous blue glow fills the naked ribbon heater-plate space. In college, one of the final exam questions in industrial electronics was "what is the ARC DROP of a mercury vapor tube...Explain how this occurs. The voltage is offically 13 volts. We know the reason why being fusor guys. Honestly, Mom, I just got three things at the flea market! There is an open-air voltage multiplier from which many of the high voltage capacitors, divider string resistors, and diode sticks have been cannibalized. Looks like it still has three of the main capacitors and 5 of the diode sticks. Then there's a 30-0-30 amp meter and a mercury fixed-temperature thermostat. I've wanted one of the latter ever since admiring them controlling HVAC on Caltrain commuter rail cars (the old ones by Nippon Sharyo). The rising mercury in a glass capillary directly completes an electric circuit. Nothing to ever wear out, stick, or get out of calibration. Tilting and vibration don't change the setpoint. I just spent about an hour in nearly fruitless search of the Internet for more about these. They have one among the collected relics of EDSAC, a very early British computer. http://www.cl.cam.ac.uk/cgi-bin/relicd? ... &class=any U. S. Patents as early as 1760081 (Parks, 1930) present "improvements" to get around the non-adjustability. Have other readers used, serviced, or collected these gadgets? They seem to run fine on a VFD, I was mildly surprised. Here we go again! The swap meet begins in about 3 hours, as dawn breaks for another warm sunny day in Cupertino. I won't be going to sell, but might try to sneak in some stuff to make a FREE pile in some vacant space. Ye olde Cupertino swap meet this month will be tomorrow, July 9. Most vendors are in place before 7 am. Packing to leave starts before 11 am. I'm planning to visit by bicycle, with a friend, to reduce the temptation to acquire large treasures. Last month I found a couple of EG&G triggered spark gaps with attached trigger transformers on a $2 table. Next year I'll put this thread under Trading Post instead of Images du Jour. The penultimate meet of 2016 http://www.electronicsfleamarket.com/ comes next weekend. I will get a seller space & use it to get rid of stuff. Come say hello if you're in the area. In June I bought a couple of music box movements, complete with power springs and spinning regulators. Also some EG&G triggered spark gaps, in modules with trigger transformers already wired up, from a $2-per-item table. Took a picture of this inexpensive motorized X-Y table, for some contemporary forum thread. In July I bought a 14 volt DC generator for pedal-power experiments, for $5, and carried it home in a bicycle pannier. It will complement a 14 volt automobile alternator, in fact they have similar size pulleys for v-belts. The generator seems to have only two electrical terminals, so I don't know how its output voltage is regulated.